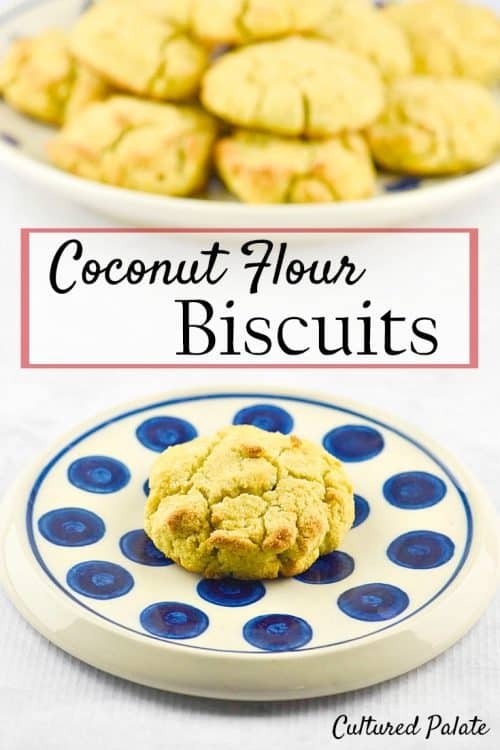 These super easy coconut flour biscuits are so simple to make, everything is blitzed in a food processor and then they are baked and ready in only 20 minutes. So, whether you are on the GAPS diet, Paleo or a real food diet, these are for you! One of the things I miss while being on the GAPS diet, is bread! But, coconut flour biscuits have come to my rescue! Not only are they just plain good, they are GAPS legal and paleo friendly too. 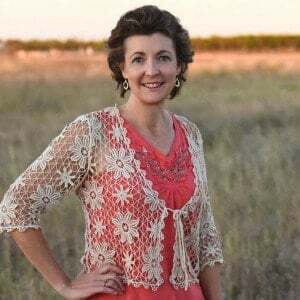 If you are not familiar with the GAPS diet, be sure to read GAPS Review and GAPS – My Experience. It has truly been life changing for me and for my family! Having suffered with rheumatoid arthritis for years, I was introduced to the GAPS diet and after two weeks on it, my pain was gone! No joke! Another benefit was a 20+ year meat allergy was cured and I am now a devout carnivore! So, if you have never used coconut flour to bake with, you are in for a treat. It is allowed on the GAPS diet, and for paleo recipes. Why should you use coconut flour? Allowed on the GAPS, AIP and Paleo diets. High in protein, fiber and very filling. Thought to support thyroid function and the immune system because of the levels of lauric acid it contains. A good source of manganese which helps keep your bones healthy, supports a healthy nervous system and maintains blood sugar levels. Gluten free so, it does not cause problems that can be linked to grains containing gluten. Substituting coconut flour can be a bit tricky and there are a couple of things to know. Using coconut flour in recipes can take some adjusting if the recipe does not already call for it. Only use 1/4 – 1/3 cup coconut flour for every cup of all purpose flour or whole wheat flour called for. Coconut flour is much more absorbent than other grain based flours so, you will use more eggs and liquid. A quick rule of thumb is for every cup of coconut flour, you will use 5 -6 eggs and 1 cup of liquid. Coconut flour can be used to dredge meats and vegetables if you are frying or sauteing. Use the equivalent amount of all purpose flour called for in the recipe. 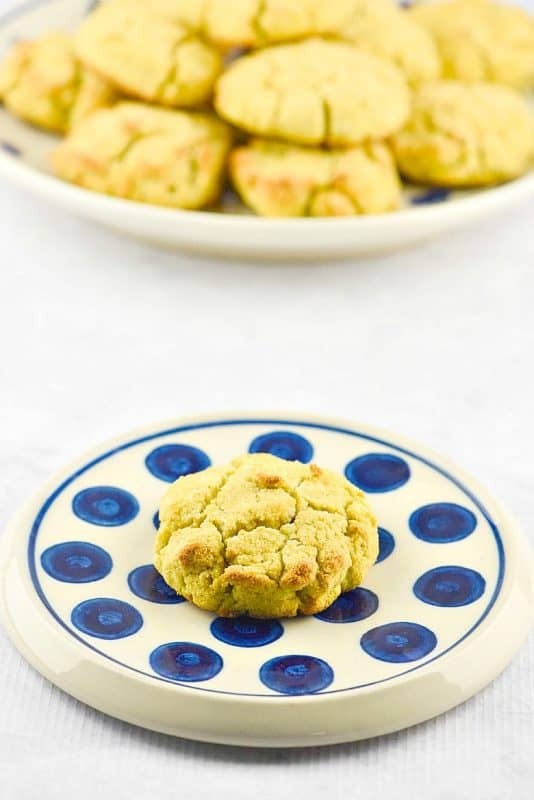 Coconut Flour Biscuits are also an answer to my sweet tooth! Not only are they delicious eaten with a slab of butter smeared on, but add honey and you have an extra special treat! Have you used coconut flour for baking? What are your tips? 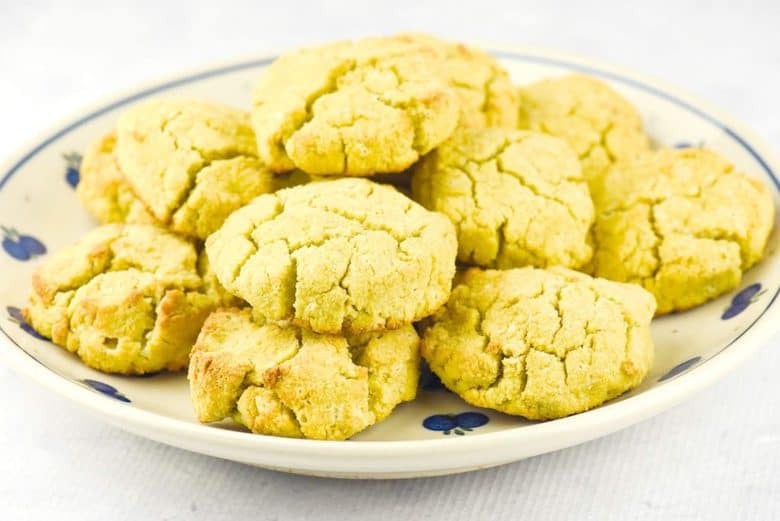 If you’ve tried these Coconut Flour Biscuits or any other recipe on Cultured Palate please take a minute to rate the recipe and leave a comment letting me know how you liked it. I love hearing from you! You can also FOLLOW ME on PINTEREST, FACEBOOK, INSTAGRAM, YouTube and TWITTER. A great grain-free option when your diet requires it. Form into biscuits and place onto cookie sheet. Bake at 400F for 15 minutes or until done. This coconut flour biscuit recipe can be easily doubled or tripled without adjusting the amounts. Almond Flour Pizza Crust - Paleo Pizza - GAPS! Thanks, Tina, so glad you enjoyed them! I’ve never baked with coconut flour before, these look and sound delicious I’m interested to bake with it and see how it goes, thanks for the recipe! Made these tonight. They were yummy. There, I am so glad you enjoyed them! I love that they are so tasty and also so easy! Hello Dina-Marie, thanks for all the information on your website. The GAPS diet forbids baking soda and other raising agents. I noticed you use them here – are they ok in small doses? Or are you using it because you’ve cleared your symptoms? I’d love to know because I’d like to make coconut flour bread. Benadette, pure bicarbonate of soda (baking soda)is allowed on the GAPS diet. Baking powder is not. I hope this helps.